Can Shakeology replace vegetables? I’ve been asked this question a handful of times by customers and other Beachbody Coaches so I decided to write a post answering this question to give my opinion on the matter and to let you know what I’ve come up with after doing a little research. Before I answer the question, can Shakeology replace vegetables, I want to point out that I’m not a nutritionist or a dietitian. I’m really just speaking from a little bit of research I’ve done and some common sense. My quick answer is, No! Don’t be silly. You Do NOT want to stop eating vegetables entirely just because you are drinking Shakeology. 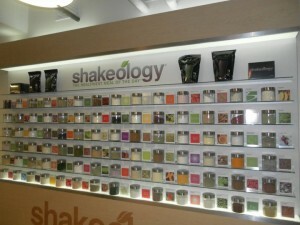 Shakeology can be used for meal replacement, a snack, or even a dessert alternative. If you are drinking Shakeology daily, you still want to try to get a serving of vegetables during your other 2 meals of the day, you should be eating vegetables with every meal. I drink Shakeology myself on a daily basis and I love it. But I still make sure I’m eating vegetables with my meals. Discover How You Can Get Up To A 25% Discount On Shakeology…Click Here! Shakeology works best when it replaces an unhealthy meal or snack on a daily basis. For example, lets say that every morning, Traci stops at Dunkin Donuts and buys a coffee, a toasted cinnamon raisin bagel with cream cheese, and she also picks up 5 Hour Energy to take in the afternoon when she starts feeling sluggish. I’m guessing that these items would cost about $6 – $7 and they do not provide many nutritional benefits. If you think this scenario is far fetched, you are wrong. You would be surprised at the number of people that stop somewhere every morning and pick up items very similar to what I mentioned above and call it their breakfast. Now lets say that Traci, replaces her toasted cinnamon raisin bagel with cream cheese, coffee, and 5 Hour Energy with a delicious Chocolate Shakeology shake. Not only would Traci be saving $3-$4 dollars a day (or close to $100/mth), but she would also be giving her body something that is healthy and that will increase her overall energy levels. So after a month or 2 of replacing her unhealthy breakfast with Shakeology, Traci is now feeling great and is also in an overall better mood. Her performance at work gets better, her boss likes her more, she gets a promotion, make more money, and can now finally afford to take her kids to Disneyland…life is good! So if you were wondering, can Shakeology replace vegetables? The answer is no, you should not stop eating vegetables. Shakeology produces results by replacing the bad things you are consuming with Shakeology. If you are someone that enjoys ice cream a few times a week, get your ice cream fix by simply replacing ice cream with Shakeology. At first, the taste may obviously not be as good as a bowl of ice cream, but after a while, your cravings will go away and your body will actually start to crave Shakeology. Can Shakeology replace vegetables? No, but if you normally don’t eat many vegetables, you should at least be drinking Shakeology. It is common for people to not really like the taste of vegetables, therefore they are not eating as many servings as they should be. If you fit into this category, you should be drinking Shakeology, but you don’t want that to be the only form of veggies you are eating. The bottom line is, you want to replace an unhealthy meal or snack with Shakeology. It is important to realize that there is no overnight fix. Weight gain and over health decline happens very slow due making incorrect small decisions every day. Eating one donut may not be a big deal, but if you eat one every day, for 5 years straight, the consequences of making that one small decision everyday will seem to suddenly show up and you won’t even realized what caused whatever those consequences happen to be. So back to the original question, can Shakeology replace vegetables? No, it shouldn’t replace vegetables entirely.